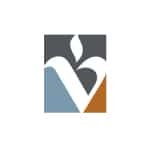 The Vail Valley Foundation is a non-profit organization that enhances the quality of life in the Vail Valley through arts, athletics, and education. Since those early days, the Vail Valley Foundation has continued to develop and produce programs, events and projects, all in support of the organization’s mission to enhance the quality of life in the Vail Valley through arts, athletics, and education. The events, venues and programs that have developed from those efforts create lifelong connections between all who partake and have become a significant part what makes the Vail Valley such a special place to be. Ann Becher Smead is the Chairman of the Board of Directors for the Vail Valley Foundation, a position she has served in since December, 2016. 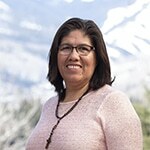 She previously served on the Board of Directors since 2004 and has been involved with Vail Valley Foundation and YouthPower365 programming since the early 1990s. Ann graduated from the University of Iowa with a Bachelor of Business Administration in Economics and Statistics. She soon joined IBM as a systems engineer, then continued into a real estate career that culminated with her elevation to Partner in a large Portland, Oregon commercial real estate management and development company. She subsequently joined Kaiser Aerospace & Electronics Corporation, where she managed their diverse real estate portfolio. Ann received her CCIM and IREM designations and became an instructor for these training organizations, teaching financial management courses. She taught in Eastern Europe shortly after the fall of the Berlin Wall, assisting with the transition from communism to free-market capitalism and democracy. Along with her work at the Vail Valley Foundation, Ann serves on Engineering Advisory Board for the College of Engineering at the University of Colorado, Boulder. 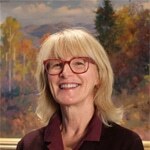 She has previously served as a Board member of Vail Mountain School and Vail Health (formerly the Vail Valley Medical Center). Ann has also established scholarship programs actively supporting students ranging from pre-school through Ph.D. studies. 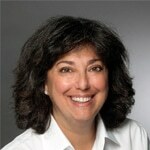 She also continues her work in financial management, leading several privately held LLP’s/LLC’s. John M. Arnold has served on the Board of Directors for the Vail Valley Foundation since 2015. He also serves on the Boards of Directors for the Penn State Council on Philanthropy, Penn State Smeal School of Business Board of Visitors, the Captive Investors Fund, and is Chairman of the Pennsylvania Department of Environmental Protection’s Storage Tank Advisory Board. John attended Grove City College and earned a Bachelor of Arts Degree in Business in 1985. He attended Pennsylvania State University and earned his M.B.A. and graduated in 1987 with a degree in Finance. In 1992, John became President of Petroleum Products Corp. and became Chairman in 1995. The company was very successfully sold in April 2015 to Boston based Arclight Capital. John continues to be the Chairman, C.E.O., and owner of PPC Lubricants, Inc., which in 2016 was named Shell’s No. 1 lubricant distributor in the United States. Hans Berglund joined the Vail Valley Foundation board in 2015. Together, he and his wife Alix are committed to helping to protect the environment and support the local community in a meaningful way. He attended high school at Hopkins in New Haven, Connecticut, and received his professional degree in architecture in 1991 from Cornell University before moving to San Francisco to begin his professional career. However, he quickly left the city to nurture his passion for the mountains in Colorado. In 2004, Hans founded Berglund Architects, a 10-person architecture firm that focuses on luxury single-family homes and resort projects throughout Colorado and the Rocky Mountains, as well as projects scattered around the US, Canada and the Caribbean. 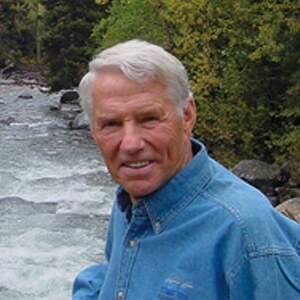 Along with his work with the Vail Valley Foundation, Hans is also a past board member and a current advisory board member of Walking Mountains Science Center, as well as a member of the Edwards Rotary Club. Hans and Alix live in Edwards with their golden retriever. Like most folks in the Valley, they love nothing more than spending winter days on skis or snow bikes and summer days hiking or on their bikes. 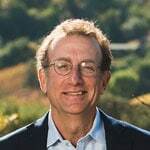 Sam Bronfman has sat on the Board of the Vail Valley Foundation since 2017. He is Co-Founder and Managing Partner of Bacchus Capital Management and is actively involved in the management of the Bacchus portfolio wineries. Prior to founding Bacchus, Sam was a Director of Seagram, successfully led Seagram Chateau and Estates Wines Co. (the premium wine division of the Seagram Company) and served as the Chairman of Diageo Global Wines. 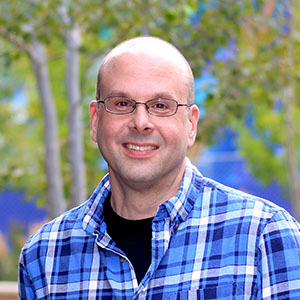 In the Vail Valley, Sam is actively involved in supporting and donating to the Eagle Valley Land Trust, Vail Performing Arts Academy, and Walking Mountains Science Center, where his wife Kelly is on the Board of Directors. He is on the Executive Committee of the Board of Directors of Vail Health and is on the Board of Directors of the Vail Health Foundation. Formerly, Sam was Chairman of the Board of the Cancer Prevention Institute of California and now sits on its Executive Committee, and for ten years was on the Deerfield Academy Board of Trustees. Sam has also been the Chairman of the Northern California Chapter of the Young Presidents Organization and Chairman of the California Wine Institute. Sam also currently serves on the Board of Directors of Colorado College, where his daughter Annie currently attends and his daughter Dana is a graduate. Sam graduated with a Bachelor of Arts degree from Williams College. He was an Editor of the Williams Record and earned varsity letters in tennis and basketball. Susan Campbell grew up in a family that loved ballet; she and her sister danced, her mother designed costumes, and her father played character roles while becoming a tenured singer with the San Francisco Opera. She choreographed her first ballet at 9 and continued dancing and choreographing for many years. Susan received her BA in Business/Accounting from San Francisco State University and worked as a CPA for Deloitte in Aberdeen, London, San Francisco and Boston. She also audited hotels for Sheraton and worked for the City of Carrolton in Texas before retiring to raise her three children. She has continued to be an avid dance supporter of the Dallas/Ft. Worth Ballet, the Royal Ballet in London, the San Francisco Ballet, New York City Ballet’s New Combinations Fund and the Vail Dance Festival as the family relocated. She has been a member of the Vail Valley Foundation Board of Directors since 2014. Although her main residence is in New York City, her family’s center has long been Beaver Creek where they discovered their love of skiing and mountain biking. She first attended the Vail Dance Festival 10 years ago and was so impressed she immediately got involved. It was simply the best collection of dance she’s ever seen anywhere in the world with a focus on original choreography that was truly exciting. She is grateful to have the opportunity to exercise her lifelong passion for dance with the Vail Dance Festival. 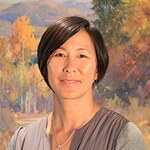 Charlene Chen joined the Vail Valley Foundation Board of Directors in 2018. 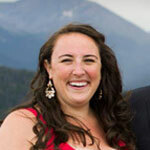 She moved to Vail in 2013 with her family from New York City where she had previously worked in finance. Originally from New Jersey, she studied economics and art history at Stanford and has an MBA from Wharton. She worked in public finance at Smith Barney before business school; institutional European equities sales at Deutsche Bank after business school. 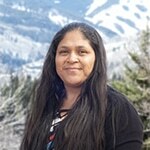 She is also actively involved in the finance, strategy, and endowment committees at Vail Mountain School. Steve Coyer and his wife, Amy, moved to the Vail Valley full-time in 1999 and have never regretted it for one second. Soon after arrival he became involved in the launching of the First Tee chapter of Eagle County in 2007, managed by YouthPower365 (then known as The Youth Foundation). Steve became chair of the organization in 2011 and was instrumental in executing its merger with the Vail Valley Foundation in 2011. Steve has been actively involved as a Vail Valley Foundation Board Member and Education Committee Member and is now Chair of that committee. He holds a B.A. with distinction and honor in economics from the University of Michigan and has an M.A. from the Harvard Business School. The Coyers have a wide variety of philanthropical interests. They contribute to the Juvenile Diabetes Research Foundation, Walking Mountain Science Center, and Steve sits on the Board of Directors of the Eagle River Water and Sanitation District. They are also major benefactors to the new STEM Science and Engineering Center at Steve’s alma mater, University of Detroit High School, where he proudly accepted the Alumnus of the Year award in 2013. Andy Daly has led a distinguished career in the Colorado ski industry starting as a ski patrolman in Aspen in 1970 and later as CEO of Copper Mountain, owner of Eldora, Vail Associates CEO, President of Vail Resorts and currently an owner of Powderhorn. He was inducted into the Colorado Snow Sports Hall of Fame in 2000. Daly has a life long legacy of serving the community including serving as Vail’s Mayor for two terms. In addition, Daly serves on the US Ski Team Board Emeritus, and the Boards of Vail Health, Steadman-Philippon Research Foundation, University of Denver Daniels School Executive Advisory and the Vail Valley Foundation. Daly earned a BS from the University of Pennsylvania Wharton School and an MBA from the University of Denver Daniels School of Business. 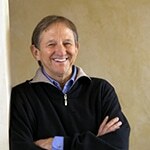 Ron Davis is an active philanthropist, sits on the Education Committee of the Vail Valley Foundation Board of Directors, and was the founder, CEO and President of the Perrier Group of America, Inc. from 1979 – 1994. He has been visiting the Vail Valley since the 1980s and made Edwards his full-time home in 2002. He has been a member of the Vail Valley Foundation Board of Directors since 2011. After selling the Perrier Group to Nestle, Ron spent ten years as an active investor and venture capitalist in emerging companies, leverage buyouts and real estate, and was an investor and board member of four IPO’s. 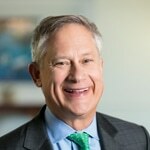 He has served on the boards of numerous private and public companies, including serving currently as the Chairman of Vail Health’s Board of Directors, and previously as chairman of Consolidated Container Company. Ron earned a Bachelor of Arts in Business Administration from California State University, Fullerton, and an MBA from the University of Southern California. He founded the Guardian Scholars Program at California State Fullerton, an educational scholarship program for foster youths. Matt Donovan is a born-and-raised Vail local who has served as a Vail Valley Foundation’s Community Board Member since 2016. He is the son of early Vail pioneers Diana and John Donovan, Sr., and was a member of Red Sandstone Elementary School’s first kindergarten class. He graduated from Battle Mountain High School in 1990, and the University of Colorado, Boulder, in 1994. Matt then returned to Vail and took part in the family business, Vail Honeywagon Waste Services, first as a trash hauler and later as owner/operator. He married his wife, Jane, in 1996 and together they grew the company, purchased it from the Donovan family, and always ensured that the company played a positive role in the community by giving, sponsoring, and supporting a wide range of community organizations. They sold the company in 2016 to Mountain Waste and Recycling, with operations in Pitkin, Garfield, and Eagle County, and where Matt still works as Vice President of Mountain Operations. Matt and Jane have three children who were all born and raised in the Vail Valley. Madeline is attending Dartmouth College in New Hampshire, while Bridget and Trevor are attending Vail Mountain School. Along with serving on the Board of Directors for the Vail Valley Foundation, Matt also serves on the Board of Directors of Walking Mountains, and Jane is on the Board of Directors for Ski and Snowboard Club Vail. Matt is also active in the Eagle County Climate Action Collaborative to help guide the reduction of greenhouse gas emissions, in particular via waste management. William “Bill” Esrey retired as Chairman and CEO of Sprint Corporation in 2003, having led Sprint as CEO for nearly two decades. Upon his retirement from Sprint, he was elected Chairman Emeritus of the company’s Board. 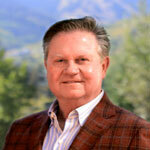 He has served on the Board of Directors of the Vail Valley Foundation since 2000. From November 2003 until its sale in July 2004, he served as Chairman of Japan Telecom, one of the leaders in the telecom industry in Japan. From May 2009 Esrey to 2015, he was Chairman of the Board of Directors for Spectra Energy Corporation. 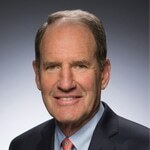 He previously has served as a director of a number of boards including Equitable Life Assurance, Sprint, Duke Energy, Exxon Mobile, Spectra Energy, Japan telecom, and General Mills, Inc.
Bill has received numerous other leadership awards in his business and charitable activities, including being named in 1997 as Business Week’s list of top 25 business executives in the world. He graduated from Denison University in 1961, with a Bachelor of Arts in Economics, and earned a Master’s Degree from the Harvard Business School in 1964. In that same year, he married Julie Campbell. They now have two grown sons and five grandchildren. Bill is an active sportsman and enjoys golf, skiing and horseback riding, and resides primarily in Vail. He and his family also enjoy spending time on their Colorado ranch as well as at their home in Santa Barbara, California. Johannes Faessler is originally from Bavaria, where he was born and raised in the hospitality industry. 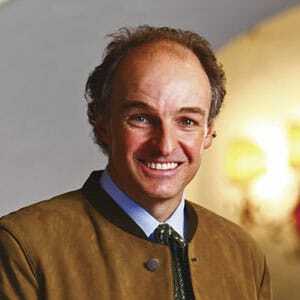 He came to the USA to attend the University of Denver and in the mid-1980s, soon after completing university, took over the family business: Sonnenalp Properties in Vail. At the time, the Sonnenalp had 37 rooms and one restaurant, but Johannes soon acquired the Kiandra and Talisman lodges and incorporated those properties into the Sonnenalp. Several years later, Johannes and his wife Rosana took the bold step to completely remodel existing facilities and spent two years rebuilding a new hotel into what we all know and enjoy today. Sonnenalp Properties, Inc., now consists of the Sonnenalp Resort and Spa of Vail, the Swiss Hotel and Spa, Sonnenalp Property Management, The Bully Ranch, The Swiss Chalet and the Sonnenalp Club in Singletree (Edwards), all of which are consistently ranked as some of the top properties and restaurants in the world. Johannes is also an accomplished skier, an Ironman triathlete, and has been a longtime supporter, volunteer and sponsor of not only the Vail Valley Foundation but a myriad of other local organizations in Eagle County. He has been a Vail Valley Foundation Board Member since 2008, is the Chairman of the Vail Valley Foundation Board of Directors’ Development Committee, and also serves on the Executive Committee. Johannes and Rosana have two children: Sebastian and Francesca. Tim Finchem is perhaps best known for his role as the PGA TOUR Commissioner from 1994-2016, but he has become equally well-known in the Vail Valley for his role as a philanthropist and supporter of organizations within and beyond the area, including the Vail Valley Foundation, The First Tee, the University of Richmond, and Teach for America. 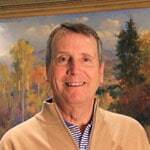 Finchem first visited the Vail Valley in 1977 and built a home in Eagle County 15 years ago. He holds a Juris Doctorate from the University of Virginia Law School, and a B.A. from the University of Richmond, where he currently sits on the Board of Directors. 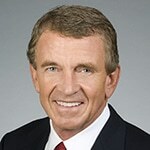 Along with his role at the PGA TOUR, Finchem has served in the White House under President Carter as Deputy Advisor to the President in the Office of Economic Affairs, as a Carter-Mondale Presidential Campaign Staff Director, as President of Beckel, Finchem, Torricelli, and Associates, and as a partner in Croshaw, Finchem & Williams. He has been on the Board of Directors of the Vail Valley Foundation since 2004. Stephen Friedman and his wife Dawn have owned property in Beaver Creek since 1990 and been permanent residents there since 1998. Steve joined American Express Company as General Counsel for its Card Division and then moved to line operations, spending more than 14 years outside the country; first as President of American Express Mexico, then President of American Express Japan. He returned to the United States from Hong Kong, where he was President of the Japan/Pacific/Asia/Australia Region. In addition to serving on the Board of Directors for the Vail Valley Foundation since 2001, he has been a board member of the Beaver Creek Metropolitan District and the Eagle River Water and Sanitation District. 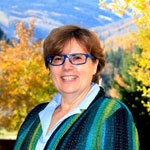 Margie Gart has served on the Vail Valley Foundation Board of Directors since 2011. She is also the former Director of Philanthropy at Rose Community Foundation, where she worked with individuals, families and groups to structure their philanthropy for impact. She has served on the boards of The Kent Denver School, Rose Community Foundation, Women’s Foundation of Colorado (chair, 2014), and RAFT. She received an A.B. from Dartmouth College and an M.B.A. from Harvard Business School. Margie and her husband Tom live in Denver and have been part-time residents of Vail since 1985. They have three grown children who enjoy visiting the Valley. Donna M. Giordano is Managing Partner of Valley Airpark, LLC, and is also co-owner of G.F Foods, D and D Foods, Titan Foods, and Shasta Foods. She was also President of SMLA, Inc, a property management and building company. 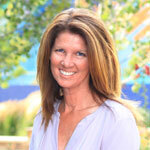 Donna has been coming to Vail Valley since 1981 and has lived in Vail permanently since 2001. Her children live in Wyoming and Maryland, where she frequently visits. 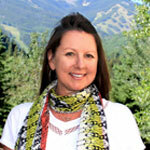 Donna has served on the Vail Valley Foundation Board of Directors since 2001 and has been instrumental in the work to build and grow the Vail Dance Festival as well as the Gerald R. Ford Amphitheater. She has also served on the Bravo! Vail Board of Directors, the Washington-Virginia Ronald McDonald Board of Directors, and the Blue Ridge School Board of Directors. Along with these activities, she has also been very active with the Vail Veterans Program and other nonprofits in the Valley. Sheika Gramshammer is the descendent of an old Austrian innkeeping family. She and her husband, Pepi, came to Vail as an internationally known ski racer. They established and have since operated the Hotel-Gasthof Gramshammer in Vail Village since 1964. Pepi and Sheika have been instrumental in the creation of the town of Vail and all of its institutions, and they remain active members of the community to this day. Pepi served on the Vail Valley Foundation Board of Directors from 1985-2015, while Sheika has served since 2004 and continues to serve. Michael E. Herman has served on the Vail Valley Foundation Board of Directors since 2011. His notable career includes time as president of the Kauffman Foundation, which supports entrepreneurship and education, and he has also served as president of the Kansas City Royals baseball team. Mr. Herman was a founding partner of Dryden Company, a private investment banking firm in New York, having previously worked at Laird, Inc. and Marion Labs. He served as chairman of the board of Tanabe-Marion Labs, Inc. and is a former member of the Board of Directors of Marion Labs, Nordic Labs, Cerner, Inc., Santarus, Inc., and New Enterprise Associates (NEA). He is currently a board member St Luke’s MBNI Advisory Board, Senomyx Inc., the University of Chicago, and Rensselaer Polytechnic Institute. He earned his bachelor’s degree in metallurgical engineering from Rensselaer Polytechnic Institute and a Masters in Business Administration from University of Chicago. He and his wife, Karen May Kuivinen, were married in May, 1966. They have two children. 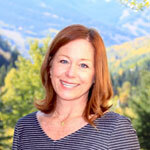 Beth Howard has been with Vail Resorts since she was a college intern at Beaver Creek in 1985. The experience sparked a successful 30-plus-year career with the company, where she is now Chief Operating Officer at Beaver Creek Resort, home to the Vail Valley Foundation’s annual Birds of Prey World Cup ski races. 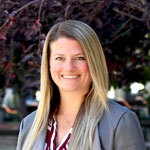 Beth also served as Restaurant Manager in Vail, Director of Food & Beverage at Beaver Creek, Vice President of Mountain Dining & Clubs for Vail Resorts Corporate, and Vice President & General Manager at Northstar, California in Lake Tahoe, before taking on her current role in 2016. Along with serving on the Vail Valley Foundation Board of Directors, Beth volunteers with Habitat for Humanity, The Salvation Army, and Boy Scouts of America. She also graduated with honors from the University of Northern Iowa with a degree in Food & Nutrition and Business. Al Hubbard co-founded EA companies in 1977 and serves as its Chairman. Starting with no capital, Mr. Hubbard and his partner acquired and grew a number of small businesses in specialty chemicals, aircraft engine components, hotel amenities, light fixtures, medical equipment, gluten-free baked goods, women’s apparel and most recently a camper van rental company. In addition to his work at EA companies, Mr. Hubbard served in the White House in two different administrations. During the George H. W. Bush administration, Mr. Hubbard was Executive Director of the President’s Council on Competitiveness and Deputy Chief of Staff to Vice President Dan Quayle. During the George W. Bush Administration, Mr. Hubbard was Assistant to the President for Economic Policy and Director of The National Economic Council. Mr. Hubbard has also served on a number of nonprofit and for-profit boards including Anthem Corporation and Simon Property Group. Mr. Hubbard has devoted most of his civic activities and philanthropy to reforming K-12 education and higher education, and currently serves on the boards of Hoosiers for Quality Education, The Indiana Commission on Higher Education, The Lumina Foundation and ExcelinEd. William J Hybl Jr. “B.J.” is President and COO of Griffis/Blessing, Inc. Griffis/Blessing, Inc. is a real estate investment and services firm founded in 1985 and based in Colorado Springs. From 1993-1997 he was a Missile Launch Officer, Captain, for the United States Air Force, and from 1990-1992 he was active in work with the United States Olympic Committee, U.S.A. Cycling, and Ski Broadmoor. He has been a member of the Vail Valley Foundation Board of Directors since 2015. B.J. has a Masters of Business Administration from Regis University, and a Bachelor of Arts from Colorado College, where he majored in Political Science. B.J. is married to Kristel Hybl and has two teenage children Jack, and Emma. Mike Imhof is the President and CEO of the Vail Valley Foundation. He began his career at the Vail Valley Foundation in 2007 serving as the organization’s Vice President, Operations and Sales and then as its Senior Vice President, Operations, Sales and Development. Mike became the organization’s fifth President and CEO in fall 2015. Prior to the Vail Valley Foundation, Mike worked for Vail Resorts, Inc., as Director, Strategic Alliance overseeing ticket sales, season pass sales, licensing, trademarks and strategic partnerships. 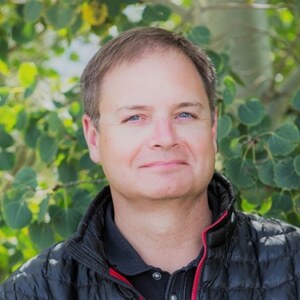 Before moving to the valley in 1998 and joining Vail Resorts, Mike was National Sales Director of Tactilitics, Inc., a medical device company based in Boulder, Colorado. Mike is originally from Tacoma, Washington and graduated from Regis University in Denver with a Bachelor of Arts in Business and Communications. He serves on the Board of Directors for Ski and Snowboard Club Vail, the Vail Valley Foundation and the Vail Valley Partnership, and he and his wife Ellen, in addition to their support of Vail Valley Foundation activities, are also active with the Eagle Valley Family Assistance Fund, St. Clare of Assisi School, St. Patrick’s Church, Vail Christian High School and the Vail Veterans Program. Mike and Ellen live in Wolcott with their two sons, Michael and Miles. 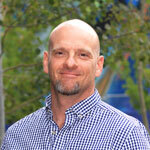 Chris Jarnot is Executive Vice President, Mountain Division, for Vail Resorts. In his current role, to which he was appointed in 2016, Chris oversees Vail Resorts’ mountain resort businesses in Colorado, including Vail, Beaver Creek, Breckenridge and Keystone; plus Afton Alps, Minnesota; Mount Brighton, Michigan; Wilmot Mountain, Wisconsin and Perisher, Australia. Chris was raised in the Vail Valley, and has held numerous positions with Vail Resorts since 1985, starting out as a seasonal employee in guest services at Beaver Creek, and later was Director of Advertising and Direct Marketing, Director of Reservations, Vice President of Marketing for Vail and Beaver Creek, Senior Vice President of Marketing and Sales and Senior Vice President and Chief Operating Officer for Vail Mountain. 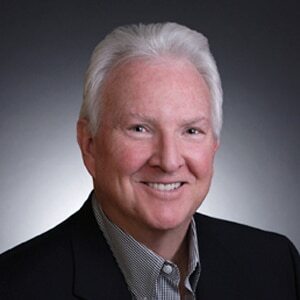 A graduate of the University of Colorado in Tourism Management, Chris currently has served on the Board of Directors of the Vail Valley Foundation since 2001, and he also serves on the Board of Directors of Vail Health (formerly the Vail Valley Medical Center). He is married with three children. Born and raised in Spartanburg, South Carolina, George Dean Johnson was the eldest of the late Dr. George Dean and Elizabeth Heath Johnson’s three sons. 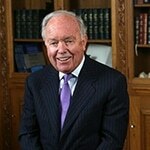 A 1964 graduate of Wofford College, Johnson also earned a law degree from the University of South Carolina in 1967. Soon after law school, George was elected to the South Carolina state House of Representatives. He eventually served three terms, winning election once each as an independent, a Democrat, and as a Republican. He also has served South Carolinians as chairman of the South Carolina Development Board and as president of the South Carolina Chamber of Commerce. In his business career, George’s board service includes seats on seven New York Stock Exchange boards: Extended Stay America, Norfolk Southern, Duke Energy, AutoNation, Inc., Boca Resorts, Advance America Cash Advance, and Blockbuster, Inc.
Today he serves as Chairman of the Board of Johnson Development Associates, Inc., a commercial, industrial, self-storage and apartment developer, and is general partner for Palmetto Hospitality, a developer of limited service hotels for Marriott, Hilton and Hyatt. He and his wife, Susan Phifer Johnson (Susu), have two adult children; a son, George (Geordy) Dean Johnson III, and a daughter, Susanna Presnell Johnson. Alexia D. Jurschak was raised in Ann Arbor, Michigan, graduated with a Bachelor of Arts from Vanderbilt University, and worked in the insurance industry with Special Risk Services, Inc. in London, Marsh & McLennan, and CNA Insurance before making her home in Beaver Creek., Colorado. Alexia has always been active in her community, including work in New York with the Caramoor Center for Music and the Arts, the Harvey School, the Town of Bedford, the Bedford Hills Correctional Facility (where she served in the women’s education program), and the Community Center of Northern Westchester. She currently serves on the Vail Valley Foundation Board of Directors, is the Vilar Performing Arts Center Committee Chair, and chairs the Beaver Creek Club Governance Board. 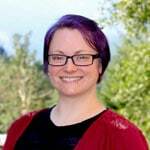 Her active work in the community also includes work with the Vail Veterans Program, the Eagle Valley Family Assistance Fund and the Beaver Creek Property Owners Association Board of Directors. 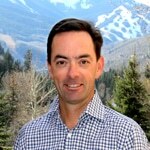 Mr. Doug Lovell is the Chief Operating Officer at Vail Mountain and was previously the Chief Operating Officer and Vice President of Beaver Creek Resort since July 2010. Doug served as Chief Operating Officer and Vice President of Keystone Resort at Vail Resorts Inc. since October 30, 2009. During his tenure at Beaver Creek, Mr. Lovell and his team were instrumental in developing safety and guest services programs that were lauded as among the best in the ski and snowboard industry by the National Ski Areas Association. He started at Beaver Creek in 1994 and held various operations positions ranging from snowmaker controller, ski patroller and guest services supervisor before being promoted to mountain operations manager at the resort. Mr. Lovell has served on the Vail Valley Foundation Board of Directors since 2015. 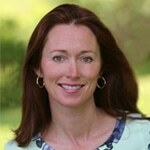 Sarah Millett grew up in Pennsylvania and attended Dartmouth College where she majored in Economics and German. After several years working as an analyst for the banking and financial sectors, Sarah pursued her passion for teaching and earned a Master of Arts in Education from Simmons College in Boston. In 2005, Sarah and her husband, Peter Millett, M.D., and their four children relocated from Boston to the Vail Valley when Peter accepted a position with the Steadman Clinic. Since that time, Sarah has opened and operated a small business in the valley and has been actively involved in serving many nonprofit organizations. 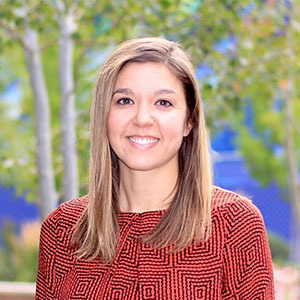 Along with her work on the Board of Directors of the Vail Valley Foundation where she has been particularly active with YouthPower365, Sarah has been active with the Children’s Hospital of Philadelphia, Catholic Charities and St. Clare of Assisi Catholic School in Edwards. 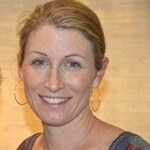 Sarah also serves on the Advisory Board of Bravo! Vail and serves on the leadership council for Ski and Snowboard Club Vail. 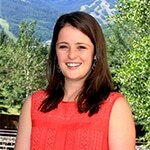 Sarah joined the Vail Valley Foundation Board of Directors in 2016. Ellen Moritz grew up in Minnesota and attended the University of Minnesota, obtaining degrees in Business Economics, Economics and German. She moved to Vail from Minnesota in January 1990 to begin working for FirstBank. Ellen started in the management training program with FirstBank and is currently the President of FirstBank’s Eagle County market. 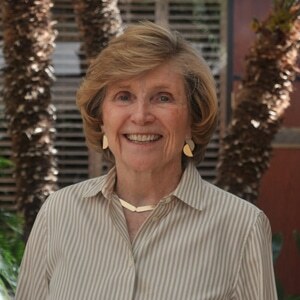 During her years in the Vail Valley, Ellen has also been involved in many nonprofit groups, including chairing the Audit committee of the Vail Valley Foundation Board of Directors. She is also Treasurer of Walking Mountains Science Center, an organization providing science education to children and adults in the community. Ellen is also a member of the scholarship committee for St. Clare of Assisi Catholic School, a member of the Board of Directors of Vail Health, and serves on the banker advisory board for the Graduate School of Banking at the University of Wisconsin, Madison. She has also served as the Treasurer of the Vail Valley Charitable Fund and a board member for the Family Learning Center. Ellen is married to Jean-Claude Moritz and they have three sons, Sebastian, Alec and Theo. Her hobbies include running, skiing, reading, hiking and watching all of her sons’ sporting events. The Vail Valley has always been a big part of Kaia Borgen Moritz’s life, from growing up ski racing in Vail to moving permanently to the valley in 2003. She has served on the Vail Valley Foundation Board of Directors since 2015. Kaia graduated from Dartmouth College with a Bachelor of Science in Art History and Environmental Science and has a Masters in Business Administration, Finance, from the University of Denver’s Daniels College of Business. She has worked as an Assistant Buyer for Gorsuch, Ltd., an Investor Services and Financial Analyst for Founders Asset Management, and a Business Consultant for Arthur Andersen. 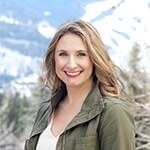 She is a Trustee at the Borgen Family Foundation, and along with her work at the Vail Valley Foundation, also serves on the Board of Directors of Vail Mountain School, and Ski and Snowboard Club Vail. Her husband Misha was born and raised in Vail, and together with their children, they enjoy travel to Kaia’s ancestral home of Norway, surfing and skiing. 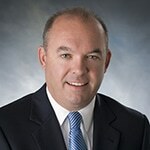 Daniel L. Pennington serves as the President of the Vail Health Foundation and joined the Vail Valley Foundation Board of Directors in 2019. Prior to Vail Health, Dan served as the Chief Philanthropy Officer at Via Christi Health, the largest provider in Kansas, and prior to that was a senior development professional at Mayo Clinic. Before joining Mayo Clinic, Dan was the Principal and Senior Consultant of his own fundraising consulting firm, Pennington & Company, Inc. based in Lawrence, Kansas. Dan earned his BS in Journalism from the William Allen White School of Journalism and Mass Communications at The University of Kansas in 1989. He completed his MA in Philanthropic Studies at the Indiana University School of Philanthropy (formerly The Center on Philanthropy at Indiana University) in 2013. He is a Chartered Advisor in Philanthropy (CAP) from The American College of Financial Services. Dan has always acted on his belief in the importance of giving back to the profession and his community. 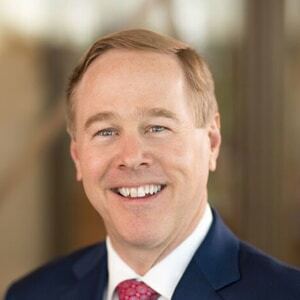 He has served as an active member of the Association for Healthcare Philanthropy (AHP), Association of Fundraising Professionals (AFP), National Association of Cancer Center Development Officers (NACCDO) and NonProfit Connect (formerly The Greater Kansas City Council on Philanthropy) where he served on the Board. Dan was also a mentor with Big Brothers & Big Sisters of Douglas County, and a board member of Douglas County CASA and Douglas County Citizen Review Board Juvenile Offenders Project. He has been active in his local churches having served as a member of the Endowment Board, Membership Committee and chairing the Pastor Search Committee. Dan has been a board member for the Lawrence Schools Foundation and was a parent volunteer at his children’s schools in Rochester. Dan was a member of the Leadership Lawrence Class of 2003. Dan is married to Pamela Pennington, who works with special needs children in the public school system. They have three daughters, Crosby, Nell and Alden. 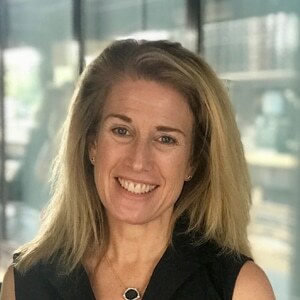 Jill Seaman Plancher is a volunteer attorney with Connecticut Legal Services in Stamford, Connecticut. As a volunteer attorney in the family law unit of legal services for the past 20 plus years, Jill has worked with hundreds of women and children to provide safety, stability and freedom from abusive relationships. In this capacity, Jill serves as a legal advisor to the Domestic Abuse Services program of the YWCA in Greenwich where she sits on the Leadership Council. For the past 16 years, Jill has accepted appointments to serve as Guardian Ad Litem and Attorney for Minor Children in contested custody matters before the Stamford Superior Court and Regional Family Trial Docket. In 2011, Jill received the Fairfield County Bar Association’s Liberty Bell Award and the Connecticut Law Tribune’s pro bono award. In 2012, Jill received the Connecticut Bar Association’s Charles Parker Legal Services Award for her commitment to access to justice for all persons. Early in her legal career, Jill served as an Assistant United States Attorney in Indianapolis, Indiana where she prosecuted health care fraud, corporate fraud, violent crimes, and public corruption. Jill was also an Assistant Attorney General in the Criminal Bureau of the Massachusetts Attorney General’s Office where she worked in the appeals bureau. Immediately following her graduation from Harvard Law School in 1988, Jill was a Federal law clerk for the Honorable Robert E. Keeton. In addition to her Harvard Law education, Jill holds BA from the University of Pennsylvania in International Relations. Jill is married to Dr. Kevin D. Plancher, an orthopedic surgeon, who in 1993-1994 was an Orthopedic Fellow at the Steadman Hawkins Clinic. It was during that year that Jill and Kevin fell in love with the Vail Valley and added to their family by delivering their second child Jamie at the Vail Valley Medical Center. Jill and Kevin have owned a home in Beaver Creek since 1994 and have enjoyed summer and winter family vacations in the Vail Valley. Jill and Kevin are members of the Beaver Creek Club and Kevin is an avid tennis player. Jill has been a member of the Dance Committee for the Vail Dance Festival and she and Kevin have been generous donors to the VVF. Jill and Kevin’s children, Brian and wife Annie, Jamie and Megan are avid skiers and call the Vail Valley their happy place. Michael J. Price is the Senior Managing Director of Evercore where he leads Evercore’s Technology and Telecom groups. He previously spent 11 years at Lazard, where he founded and led that firm's global Telecom and Technology Group. 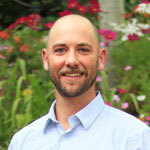 Michael has served on the Vail Valley Foundation Board of Directors since 2011. He also serves on the Rockefeller University Board of Directors, the Board of Trustees of the University of Pennsylvania, and is Vice Chairman of the Board of Overseers of the College of Arts and Sciences at the University of Pennsylvania. He previously sat on the boards of three public companies, SpectraSite, Amdocs and People PC. Mr. Price received a Bachelor of Science in Economics from the University of Pennsylvania’s Wharton School and a Masters in Business Administration from the Harvard Business School. Originally from New York, Ken Schanzer has become well known for a variety of activities in television, sporting and political arenas. Ken helped bring Notre Dame football to NBC in 1991 and later was named President of NBC Sports on June 18, 1998, where he played a key role in creating the NBC Sunday Night Football television package. From 1992-95 he was President and CEO of The Baseball Network, and previous to that he played key roles at NBC including as a Legislative Representative and as Executive Vice President of NBC Sports. Ken first visited the Vail Valley in 1971 and made his permanent home in Beaver Creek after stepping down as President of NBC Sports in 2011. Since that time he has served on the Vail Valley Foundation Board of Directors, as well as the Board of Directors of the Steadman Philippon Research Institute. He has been a strong supporter of Guardian Scholars as well as Bravo! 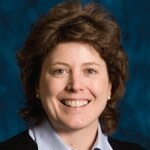 Vail, has served as Chair of the Broadcast Committee for the 2015 Alpine World Championships in Vail/Beaver Creek and is an adjunct professor in the Mendoza School of Business at Notre Dame. He’s a graduate of Colgate University and the Columbia Law School. Ken is married to Lisa Schanzer and is the father of Thomas, Lindsay, and Peter. Rod Slifer and his wife, Beth, have a strong commitment to community leadership and have been economic drivers for tourism in Colorado for more than 50 years. Rod, the first-ever realtor in Vail, has become a major force in Vail's evolution from ski area to world-renown resort. Beth Slifer is the founder of Slifer Designs Interior Design & Retail in Edwards. Rod is a Colorado native, and holds a bachelor’s degree in business from the University of Colorado. 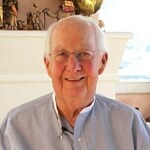 He arrived in Vail in 1962 and has been an invaluable part of the community ever since. In 1989, he merged Slifer & Company with Harry Frampton, former president of Vail Associates and past Chairman of the Board of Directors of the Vail Valley Foundation, and with Mark Smith, former Chairman of the Board of YouthPower365 (then known as the Youth Foundation). Today, Slifer Smith & Frampton is the Vail Valley's largest and most prolific real estate brokerage. Rod served as a member of the Vail Town Council for 16 years and the mayor of Vail for 11 years. He is a founding director of Alpine Banks of Colorado, director of Colorado Open Lands, and is one of the founders of the University of Colorado Real Estate Center and Real Estate Foundation. Slifer was also an early member of the Eagle County and Vail Planning Commissions and Recreation District. In recognition of his dedication to the Vail Valley, Rod Slifer has been named Vail Business Person of the Year and one of Vail’s 10 most influential citizens. Together, Rod and Beth were named Vail Valley Citizens of the Year in 2009. 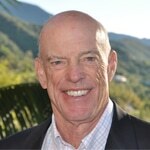 Rod has served on the Vail Valley Foundation Board of Directors since 1985. Hap Stein is Chairman and Chief Executive Officer of Regency Centers, where he has served since the company’s initial public offering in 1993 and as Chairman since 1999. He served as President of Regency's predecessor real estate division beginning in 1981 and as a vice president from 1976 to 1981. Under Hap’s leadership, Regency Centers has become the preeminent national shopping center company widely recognized for owning, operating and developing high-quality grocery-anchored centers located in most major U.S. markets. Hap is an authority in the commercial real estate industry, serving as 2008 Chairman of the National Association of Real Estate Investment Trusts (NAREIT). He holds or has held leadership positions with NAREIT, the Urban Land Institute and the Real Estate Roundtable, as well as board positions with FRP Holdings, and his alma mater Washington and Lee University. Hap volunteers and financially supports numerous charitable organizations including Teach for America. He serves on the Jacksonville Civic Council and has co-chaired United Way fundraising. He has been a member of the Vail Valley Foundation’s Board of Directors since 2015. Kristin Tang has been coming to the Vail Valley since early childhood and made it her full-time home in 1997. During that time she has been involved in every aspect of life in Eagle County, including working as a kindergarten teacher at Vail Mountain School, owning and directing Gore Range Montessori, and contributing to nonprofits and organizations throughout the Valley. Kristin joined the Vail Valley Foundation Board of Directors in 2015. 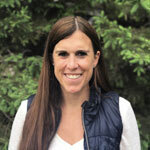 She is also active with the Walking Mountains Science Center, Ski and Snowboard Club Vail, Skating Club of Vail, and she sits on the Board of Directors of Vail Mountain School. Fred M. Tresca is a CPA who also serves as the Co-founder, Principal and Managing Director of Branta II LLC and affiliates; Co-founder and Manager of AIX Energy LLC; and Member and Managing Director of The Aberdeen Organization LLC. He is married to Deborah J. Tresca and they have two boys, Blake and Clayton. He was also Lead Financial Advisor to the Republic of Kazakhstan on the formation of the Caspian Consortium (owner of Kashagan Field, the largest oil discovery in 25 years), and Lead Financial Advisor to the Republic of Kazakhstan on the privatization of the Kumkol, Kenkiyak and Zhanazhol Oil Fields (the largest privatization in Central Asia). Fred is the author of “FrontierExploration” - A book on 35 emerging oil economies with analysis on the economy, oil and gas exploration and taxation. Fred is a member or former member of the American Institute of Certified Public Accountants, International Tax Forum of Houston, International Association of Drilling Contractors and International Association of Petroleum Negotiators. Fred has been a member of the Board of Directors of the Vail Valley Foundation since 2013. Mary L. Webster previously practiced as an attorney for two nationally-based U.S. law firms and has served as a consultant for a number of U.S. companies. Her law practice concentrated on environmental law, primarily in the areas of hazardous waste remediation and compliance under federal and state regulations. 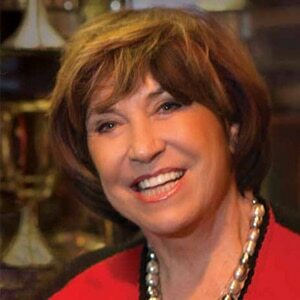 Ms. Webster also served as a governor-appointed State Commissioner and Co-Chair of the Colorado Oil & Gas Commission. Mary is a board member of Stella-Jones Inc., a publicly traded (SJ.TO) manufacturer of pressure treated wood products, including railroad ties, utility poles and residential lumber. Stella-Jones is based in Montreal, Quebec, with 37 plants in the United States and Canada. As a volunteer, Mary has represented citizens’ groups on environmental matters and developed a program for cleaning up contaminated, inner-city property for re-use by nonprofit organizations. She is an officer of the Boone and Crockett Club, a national conservation organization founded by Theodore Roosevelt in 1887. Since 2017 she has also served on the Vail Valley Foundation Board of Director’s committee for the Vilar Performing Arts Center in Beaver Creek. Mary lives in Wayzata, Minnesota with her husband, Paul. They spend the winter and part of the summer at their home in Beaver Creek. 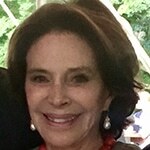 Ardent supporters of the arts in New York City and Denver, Betsy Wiegers and her husband, George, are also extraordinarily generous in the Vail Valley – in particular to the Vail Valley Foundation’s Vail Dance Festival and YouthPower365. They also contribute to Bravo! Vail, where she is a former trustee of that organization. Betsy has served on the Board of Directors of the Vail Valley Foundation since 2007 and sits on the Vail Dance Festival committee. George is the founder and creator of the University of Colorado Depression Center at the Anschutz Medical Center in Denver and is also a founder of the Deisseroth Laboratory for Brain Research at Stanford University. Their philanthropy outside of Colorado includes support of the Philadelphia Orchestra, New York Philharmonic, American Ballet Theatre and the New York Historical Society. In Denver, they support the Denver Art Museum, and also contributed to the Liebeskind wing at the museum. 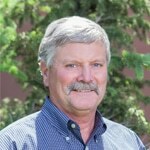 Gary Woodworth moved from San Diego to the Vail Valley in 1980 and has been with the Gallegos Corporation for 30 years. He worked his way to President/CEO and Partner, starting his tenure at Gallegos running one division, then moving to overseeing multiple operating units, before becoming Chief Operating Officer. Other Board of Directors affiliations include HomeCare and Hospice of the Valley, as well as the Vail Valley Partnership. Gary has served on the Vail Valley Foundation Board of Directors since 2016 and is a member of its education committee. Gary and his wife Dacia enjoy time on their small ranch south of Gypsum, high country horseback riding and time with family. Adam Aron is Former CEO of Vail Resorts, Starwood Hotels, Norwegian Cruise Line, and the Philadelphia 76ers. He served on the Vail Valley Foundation Board of Directors from 1996-2006. Marlene and John Boll married in 1954. Marlene trained as a dancer and was a member of the Radio City Music Hall Rockettes in New York City. She maintains her love and strong interest in the performing arts as a Life Trustee of the Vail Valley Foundation, and by supporting Bravo! Vail Music Festival and the Michigan Opera Theatre. Previously, she served on the Board of Directors for the Fontbonne Auxiliary of St. John Hospital and Medical Center in Detroit, Michigan and chaired its annual White Christmas Ball as well as the Jubilee Ball for the Detroit Symphony Orchestra. Marlene served on the Vail Valley Foundation Board of Directors from 1994-2015. 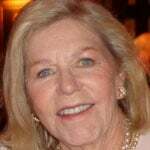 Her contributions to the community were numerous, and in particular, she was instrumental in the creation and subsequent flourishing of the Vail Dance Festival and the Vilar Performing Arts Center. Marlene and John have three children and nine grandchildren. They currently split time between residences in Key Largo, Florida; Grosse Pointe Shores, Michigan; and Beaver Creek, Colorado. Bjorn Erik Borgen and his family have been Vail locals since 1966, and Bjorn was a member of the Vail Valley Foundation Board of Directors from 1994-2015. If there is a person who epitomizes the phrase, "Realizing the American Dream," it is family patriarch, Bjorn Erik Borgen. As a child, Borgen’s family lost their home and all of their possessions due to a 5-year occupation by the Nazis during WWII. As a 12-year-old, Bjorn emigrated from Norway to the small town of Strum, Wisconsin, where he learned English and flourished under the individualized attention and opportunities available to him through the local public schools. He received a scholarship to attend the University of Wisconsin, later completed his MBA at Harvard Business School and went on to a very successful career in entrepreneurship and investment. Bjorn and his wife, Kathy, have been married since 1964 and have three children, Kaia, Randi and Jon-Erik; and 10 grandchildren. The entire Borgen family makes charitable giving a priority, and they have been active in supporting organizations like Ski and Snowboard Club Vail, U.S. Ski & Snowboard, The Eagle Valley Land Trust, Walking Mountain Science Center and more. 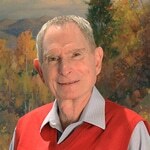 Harry Frampton served as chairman of the Vail Valley Foundation Board of Directors for 35 years before moving to Life Trustee status at the end of 2016. He is a member of the Colorado Ski Hall of Fame, the Colorado Business Hall of Fame and a recent inductee into the International Ski Hall of Fame. He is also the founder and managing partner of East West Partners, a resort development company; and Slifer Smith Frampton, a real estate brokerage firm in the Vail Valley. John Garnsey was an early – and vibrant – addition to the Vail Valley when he arrived in the early 70s from New Hampshire, where, following college, he worked for Waterville Valley Resort. He was hired by Vail Associates to help overhaul its ski race program and spent a decade climbing up the mountain operations ranks. 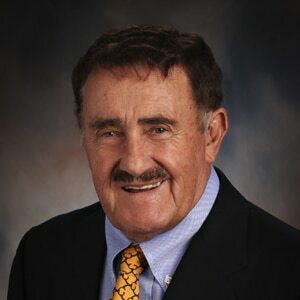 In 1984 he joined the Vail Valley Foundation, held various leadership positions, played a significant role in the 1989 Alpine World Ski Championships, and eventually served as the Vail Valley Foundation’s president from 1991 to 1999. 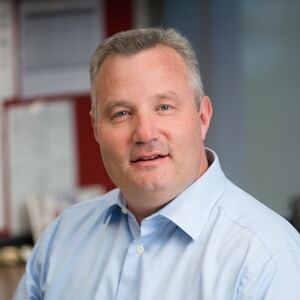 Following the 1999 Vail/Beaver Creek Alpine World Ski Championships, John returned to his Vail Resorts roots as Beaver Creek’s Chief Operating Officer, and then on to the position of Co-President of Vail Resorts' Mountain Division. He capped off his career with Vail Resorts as President of global mountain development and retired from Vail Resorts in 2015. John was instrumental in bringing the world to Vail and Beaver Creek through all three of the Valley’s Alpine World Ski Championships (1989, 1999 and 2015), and has always remained close to the Vail Valley Foundation where he is a Life Trustee member. John is a Colorado Ski Hall Of Fame Inductee, serves on the Board of Trustees for the US Ski Team and remains very involved with several local, Eagle County organizations. John and his wife Vicky live in Eagle, Colorado, and have two children, Mac and Keegan; and two grandchildren. Pepi Gramshammer came to Vail as an internationally known ski racer and his wife, Sheika, is the descendent of an old Austrian innkeeping family. They established and have since operated the Hotel Gasthof Gramshammer in Vail Village since 1964. Martha "Marty" Head first visited Vail in 1964 and made Vail her home in 1968. Since that time she has been very active in the community and in philanthropy in general, including her role on the Vail Valley Foundation Board of Directors, where she served from 1987 to 2017. 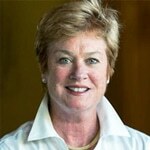 She has also served on the Board of Trustees of the US Ski Team, and the Board of Directors of Bravo! Vail and St. Mary of the Woods College. Marty received four degrees from St. Mary of the Woods in chemistry, biology, history and literature. She worked for Have Pharmaceuticals, and together with Jack Fritzlen owned CMI Corporation. She has long been a pillar of the Vail Valley community and has been very active with non-profits in and outside the community including the Helen and Arthur E. Johnson Depression Center, Johns Hopkins University and the Wilmer Eye Clinic. 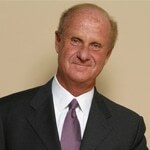 William J. Hybl is Executive Chairman of El Pomar Foundation, after serving 30 years as Chairman and CEO. In 2008, Hybl was confirmed by the United States Senate as Chairman of the U.S. Commission on Public Diplomacy, a position he was appointed to by President George W. Bush. He was reappointed by President Barack Obama on June 2, 2011, and currently serves as Vice Chairman. He also serves as Chairman of the U.S. Olympic Endowment. Hybl is President Emeritus of the United States Olympic Committee (USOC). He served twice as President when he led the United States Olympic Team Delegations at the 1992 Olympic Winter Games in Albertville, France, and the 1992 Olympic Games in Barcelona, Spain. In 1998, he again led the U.S. Team at the Olympic Winter Games in Nagano, Japan, and in 2000, at the Olympic Games in Sydney, Australia. He was a member of the International Olympic Committee from 2000-2002. Hybl has also been engaged in a variety of public service activities. He is Civilian Aide to the Secretary of the Army (Senior). In 2001, President George W. Bush appointed Hybl as U.S. Representative to the 56th General Assembly of the United Nations. In addition, Hybl was Chairman of the Board of the International Foundation for Electoral Systems (IFES) from 2003-2009 and currently serves as Chairman Emeritus. He was named Citizen of the West by the National Western Stock Show of Denver in 2003. Hybl is a Graduate of Colorado College and earned his Juris Doctor at the University of Colorado School of Law. He was elected to the Colorado House of Representatives in 1972 and was Special Counsel to President Ronald Regan in 1981. He is married to Kathleen Horrigan and they have two sons, B.J. and Kyle; and six grandchildren. 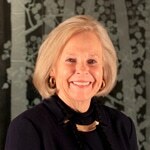 Elaine Kelton served on the Vail Valley Foundation Board of Directors from 1989 to 2004. In 1967 she built the Ramshorn Lodge in Vail, owning and operating the lodge until 1984. 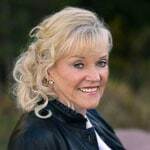 She is currently the president of the Kelton Group, and sits on the Board of Directors for Colorado Mountain College and Bright by Three; is on the El Pomar Foundation Trustee Council; and was on the founding boards of the Shaw Regional Cancer Center, the Vail Symposium and the Vail Institute. Kelton came to Vail via New York City, by way of Jackson Hole, in 1964. Adventurous enough to skydive competitively, play hockey (less competitively), and start several successful businesses in Vail and beyond, Elaine has supported all of the Vail Valley Foundation’s endeavors in arts, athletics, and education. In particular, she enjoys the dialogue with high school students during the scholarship interview process for YouthPower365’s Dollars for Scholars programming. Peter May has been President and a Founding Partner of Trian since November 2005. Mr. May serves as the non-executive Vice Chairman of The Wendy’s Company. From May 2008 through May 2017, Mr. May served as a director of Tiffany & Co. From April 1993 through June 2007, Mr. May served as President, Chief Operating Officer and a director of Triarc Companies, Inc., which during that period of time owned Arby’s Restaurant Group, Inc. and the Snapple Beverage Group, as well as other consumer and industrial businesses. 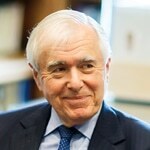 Mr. May is the Chairman of the Board of Trustees of The Mount Sinai Health System in New York, where he led the turnaround of this major academic health center from serious financial difficulties to what is today one of the most profitable and fastest growing academic medical centers in the United States. In addition, Mr. May is a Trustee of The University of Chicago and a Life Member of the Advisory Council of The University of Chicago Booth School of Business. Mr. May is also the Vice Chairman of the New York Philharmonic, a Director of Lincoln Center for the Performing Arts, a Trustee of the New-York Historical Society and a partner of the Partnership for New York City, as well as the past Chairman of the UJA Federation’s “Operation Exodus” campaign, and an honorary member of the Board of Trustees of The 92nd Street Y. He is Chairman of the Board of The Leni and Peter May Family Foundation. Mr. May received Artium Baccalaureus and Masters in Business Administration degrees from The University of Chicago and is a Certified Public Accountant (inactive). Mr. May also holds an Honorary Doctorate in Humane Letters from The Mount Sinai School of Medicine of New York University. He served on the Vail Valley Foundation Board of Directors from 1996-2016. Eric Resnick is Co-Founder and Chief Executive Officer of KSL Capital Partners, LLC (www.kslcapital.com), a leading private equity firm with $7.5 billion of equity capital commitments raised since 2005, and a 20-year track record of making investments exclusively in travel and leisure businesses. He is actively involved in managing the fund’s business including fundraising, acquisitions, and asset management. Prior to KSL Capital Partners, he co-founded and was Chief Financial Officer of KSL Resorts, a resort management company that managed Grand Wailea Resort and Spa, Arizona Biltmore Resort and Spa, La Quinta Resort and Club, La Costa Resort and Spa, and the Hotel del Coronado. Prior to forming KSL Resorts, he was Chief Financial Officer of a predecessor company, KSL Recreation, an investment and operating company partnered with Kohlberg Kravis Roberts & Co (KKR), joining the company in 2001. From 1996 to January, 2001 he was a senior executive with Vail Resorts, where he served as Vice President, Strategic Planning and Investor Relations, and Treasurer. Prior to Vail Resorts, he was a consultant with McKinsey and Company. Eric currently serves on the Board of Directors of U.S. Ski and Snowboard and is Vice President of the Board of the U.S. Ski and Snowboard Foundation. 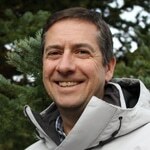 He is also a Life Trustee of the Vail Valley Foundation (since 2008) and Vail Mountain School. Eric is a member of The Real Estate Roundtable and the University Council of Cornell University. He holds a Bachelor of Arts with distinction in mathematics and economics (Phi Beta Kappa) from Cornell University. He is married with three children and resides in Vail and Denver, Colorado. Doug Rippeto is the founder and President of The Compass Group, a real estate investment company in Dallas, Texas. For the past four decades and more, Compass has been primarily involved in the acquisition, structuring, sale and management of garden apartment properties. During that time, Compass organized more than 50 apartment partnerships, mostly in Texas and Oklahoma. Early in 2000, Doug became the lead investor with Juniper Investment Group, a Houston company founded by his oldest son, Jay, to purchase and manage apartment projects. Juniper currently has about 10,000 units in five states and Doug’s youngest son, Jeremy, is also a partner in Juniper. Doug served on the Board of Directors and Development Committee of the Vail Valley Foundation for 13 years (2004-2017). He currently is a Life Trustee. Doug also served for 12 years as Chairman of the Board for the Vail Valley Foundation’s Vilar Performing Arts Center in Beaver Creek. He served as Vice Chairman of Finance for the Boys and Girls Club of Hilton Head, raising $6 million for the construction of the new club. Doug is a member of the Young Presidents' Organization and is now a member of the Dallas chapter of World Pres Org. He has three grown children and six grandchildren. 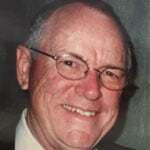 Stanley S. Shuman is Senior Advisor to Allen & Company LLC, investment bankers, where he has been associated since 1961. 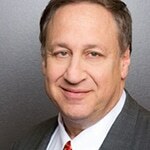 He has served as a director of numerous private and public companies including News Corporation for over 30 years. Mr. Shuman is also the Chairman of the Advisory Committee and a Member of the Board of Advisors of Palamon Capital Partners, a London-based pan-European private equity fund. Mr. Shuman is a Trustee of The Markle Foundation; a Trustee of Carnegie Hall; a Life Trustee of Thirteen/WNET; Chairman of The Marc Haas Foundation; Trustee Emeritus of The National Public Radio Foundation; and is a member of the Council on Foreign Relations and The Economic Club of New York. Appointed by President Clinton in 1995, Mr. Shuman served on the President’s Foreign Intelligence Advisory Board (PFIAB) until 2001. From 1977 to 1997 he was a member of the (Emergency) Financial Control Board for New York City. Mr. Shuman is a graduate of Harvard College, Harvard Law School, and Harvard Business School. He is also Trustee Emeritus of Phillips Academy, Andover. He has served on the Vail Valley Foundation Board of Directors since 1998. Stew Turley retired as chairman of Eckerd Corporation in 1997, where he had worked since 1966, including serving as president and chief executive officer beginning in 1974. Before joining Eckerd Corporation, Stew worked at Crown, Cork, & Seal Company, a top worldwide producer of consumer packaging. 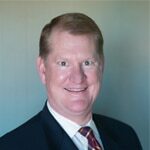 Stew has served on several corporate boards, including Barnett Bank of Florida, Sprint Corporation, Springs Industries, Inc., MarineMax, Inc. and WCI Communities. Stew also serves on the boards of several nonprofit organizations, including the Vail Valley Foundation where he served from 2001-2018, as well as the Steadman Philippon Research Institute, Eckerd Youth Alternatives, Inc. and the US Ski Team Foundation. Stew is a member of the Tampa Bay Business Hall of Fame and is a recipient of the Corporate Leadership Award from the National Council on Aging. He also received the Robert B. Begley Award and the Lifetime Achievement Award from the National Association of Chain Drug Stores. He holds honorary doctorate degrees from Florida A&M University and Webber College. Stew is a graduate of the University of Kentucky-Lexington and Rollins College. He and his wife Linda live in Clearwater, Florida, and Beaver Creek. They have four grown daughters and eight grandchildren. In 1981, several visionaries including President Gerald R. Ford initiated the idea of creating a foundation in the Vail Valley as a way to unify the volunteer spirit and ‘big-idea’ mentality that helped the valley mark its place on the international map. Ever since, the Vail Valley Foundation (“VVF”) has been a significant part of what makes Eagle County such a special place, and an integral aspect of life in our valley providing arts, culture, sport and education, and showcasing our important work done locally to a global audience. We wish to continue our charitable work with our donors, strategic partners and other stakeholders to raise and deploy funds for the benefit of the people who visit and live here. Our strategic plan helps ensure that by 2022, the VVF is positioned for vibrant and sustainable execution of our mission and visions in Eagle County through the coming decades. Our strategic plan covers all projects, events, programs and venues of the VVF and is organized into four areas: Arts & Culture, Athletics, Education and Organizational Excellence. Each of these areas has an overarching goal and objective, which is implemented by a variety of strategies and tactics. We wish to express our sincere thanks to our staff and board for their time, insights and efforts in creating this plan.